Originally constructed in 1892, the historic Wimer Covered Bridge suddenly collapsed in the summer of 2003. 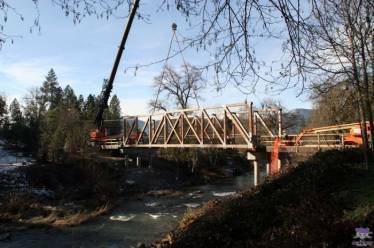 The small community of Wimer, Oregon immediately started the process of rebuilding their beloved bridge. After four years of planning and fund raising construction has started on the new structure. Portland Bolt provided some of the material for this project including galvanized tie rods for the concrete anchors and fasteners for the timber frame.